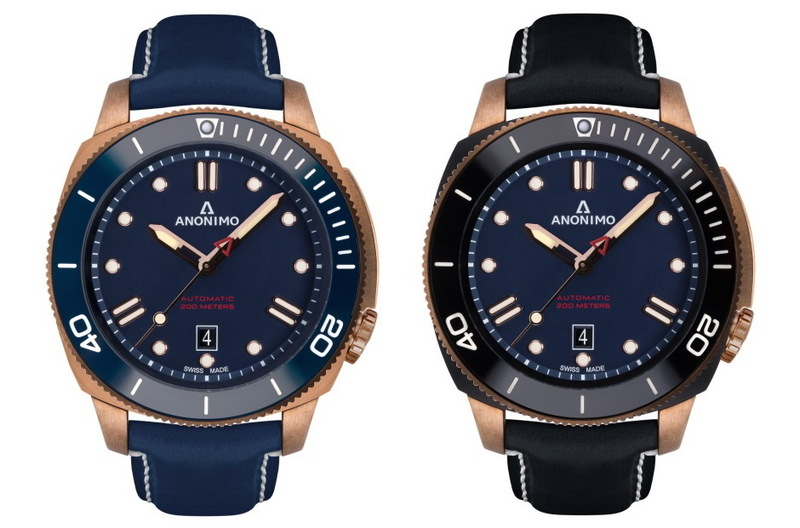 Anonimo continue to expand their Nautilo collection which (special editions aside) is now 9 strong thanks to two blue faced additions. Both models are in Stainless steel with a satin finish; ref. 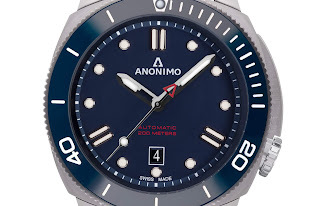 AM-1002.06.004.A06 has a blue dial with red dial text and a red seconds hand counter-weight. Its blue dial is matched to a blue ceramic bezel inlay. 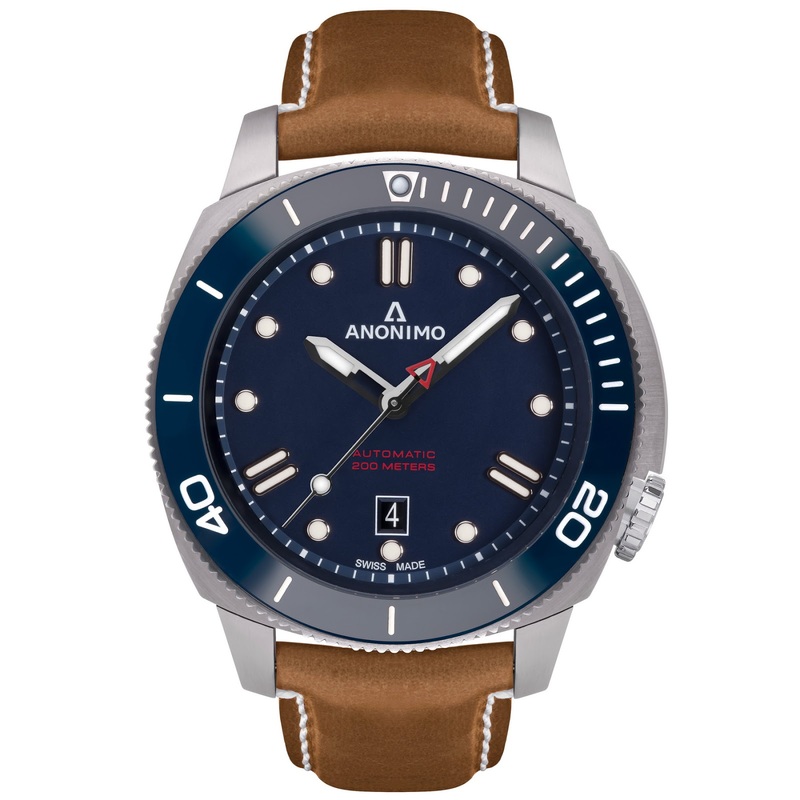 This version is presented on a Buttero calf leather strap, handmade in Italy. Ref. 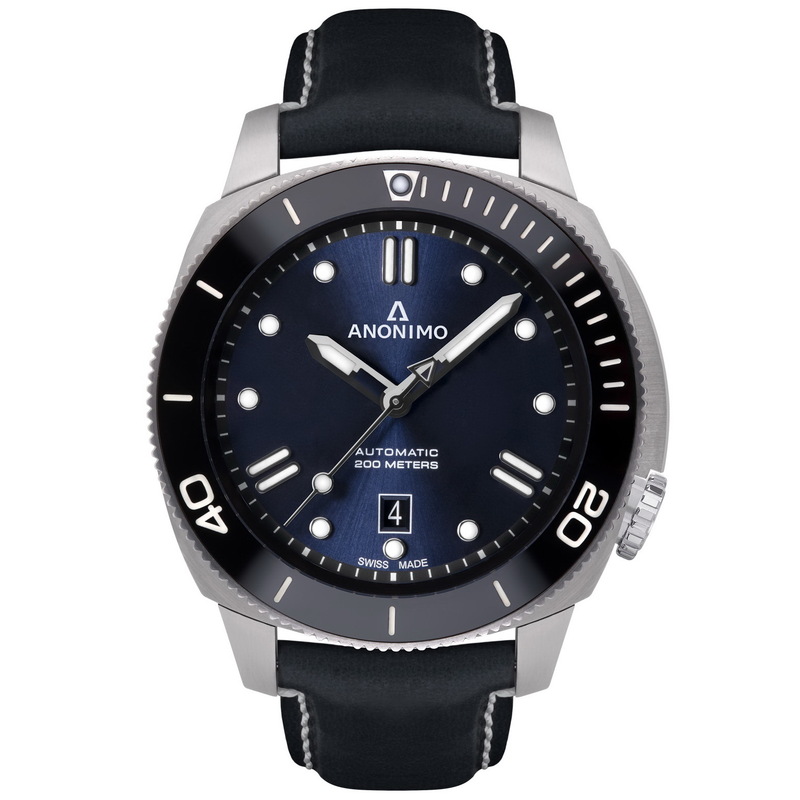 AM-1002.09.006.A03 comes with a sunburst Navy Blue dial with white accents and a black ceramic bezel inlay. 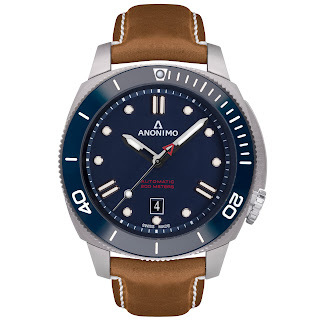 It is presented on a black calf leather strap, also handmade in Italy. Basic spec. 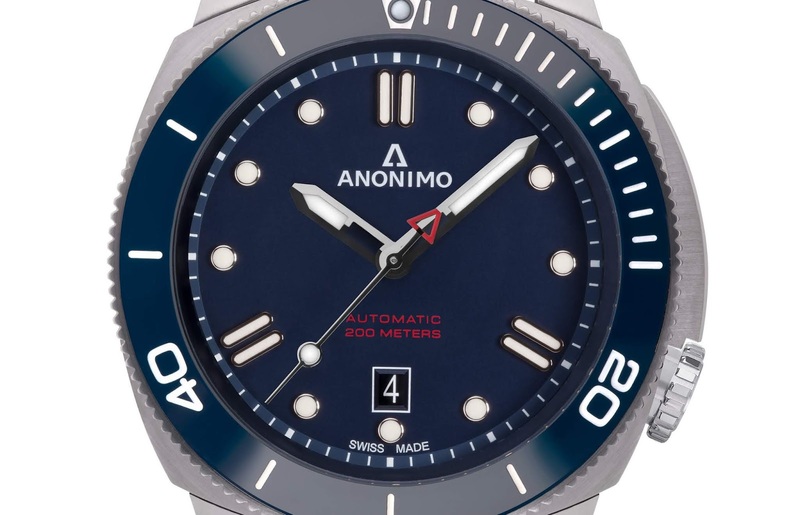 is as per other models in the collection: 200m of water-resistance, a Sapphire crystal and a Sellita SW 200-1 automatic movement. 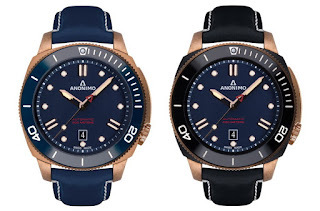 however they are offered at a far lower price point which should be taken into consideration and there is no denying that these are still pretty good looking watches. What do you think?